Your body goes through many changes when you are pregnant. Your baby bump will grow over the months, meaning you will need to add some maternity clothes to your wardrobe. One of those changes which you may not expect is the changing of shoe types you may need. When pregnant, you may experience swelling in the feet. In addition to that, your shoes will need to offer enough support for you and your growing baby bump. Without the proper shoes, you may experience sore feet during pregnancy. Fortunately, there are many pregnancy shoes out there for pregnant women just like you. Today, I'm going to go over the best pregnancy shoes for your pregnancy. Hopefully, you find this article to be helpful for you! 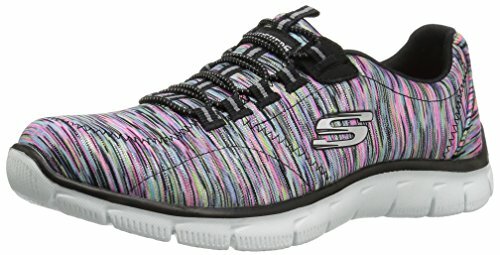 What Should I Look For In Pregnancy Shoes? Slip-on pregnancy shoes are the best pregnancy shoes out there. There is plenty of room for your swollen feet, and they are easy to get in and out of. You don't have to bend over to get the shoes on, but instead, you simply slide your feet into them. Rubber soles offer great shock absorption, as well as extra comfort during pregnancy. Pregnancy shoes with rubber soles can help ease back pain during pregnancy. Also, rubber soles have a great grip, and therefore will prevent you from slipping and falling. Arch support is extremely important during pregnancy. They offer extra comfort, which prevents you from dealing with foot pain during pregnancy. A low heel offers more stability than a high heel and more support than flat shoes. Many of the pregnancy shoes that you'll see in this article have low heels. Now it is time to look at the best shoes for pregnancy to buy. The purpose of these pregnancy shoes is to offer extra comfort and support than other shoes would offer. Some of these shoes are more fashionable than others, but all of them are comfortable and stable. Looking for the best shoes for working on your feet all day? If so, these sneakers are bound to work for you. They have all the features you would want in a shoe. They are fashionable, comfortable, and have a midsole that has built-in shock absorption. These pregnancy shoes are designed as slip-on shoes, making them easy to put on. You don't even have to lace them. The non-skid sole prevents you from slipping and falling. These shoes are designed for athletic uses. However, you can wear them even when you aren't working out. What's nice about all athletic shoes is that they withstand shock and offer you comfort. They are perfect for moms who are constantly moving around. If you are looking for the best shoes for working on your feet, consider getting this pair of shoes. You can buy them off Amazon below! Of all the slip-on maternity shoes, these may be the most comfortable slip-on shoes available. First, their slip-on design allows you to easily get these shoes on and off. When you are pregnant, it can be harder to bend over to get your shoes on. With this pair, there is no bending over and lacing your shoes involved. Second, this pair of pregnancy shoes has an orthotic insert. The orthotic insert keeps your feet comfortable and healthy. Third, these pregnancy shoes are made from breathable mesh. This means you should be able to fit into these shoes even if your feet are swollen. The sole is made from rubber to help keep you from slipping, and it also provides shock absorption to reduce the stress on your joints. Vionic’s shoes and sandals are designed to hug your arches like a natural footprint, giving you all-day orthotic support. All in all, the Vionic Women’s Agile Opal Slip-On Sneakers is a good buy. Check out these pregnancy shoes below! YOUR NEW FAVORITE SNEAKERS: Ideal for casual every day comfort, these women's slip on flat sneakers have a vibrant mesh upper and simple stretch fabric Mary Jane straps. WHAT TO WEAR? With a relaxed athletic leisure look, these casual sneakers will be your go-to pair all week long, whatever you're wearing, from jeans to skirts to athletic wear! Are you shopping for cute shoes for swollen feet? Check out the Crocs Women's Swiftwater Sandal. The design of these sandals allows women with swollen and expanding feet to wear them. These sandals feature added traction and rubber soles, which prevent you from falling and getting hurt. It has low heels, which holds your foot in a proper anatomical position. Keep in mind that a lot of customers on Amazon thought these sandals were very wide. If you have swollen feet, this may be nice. 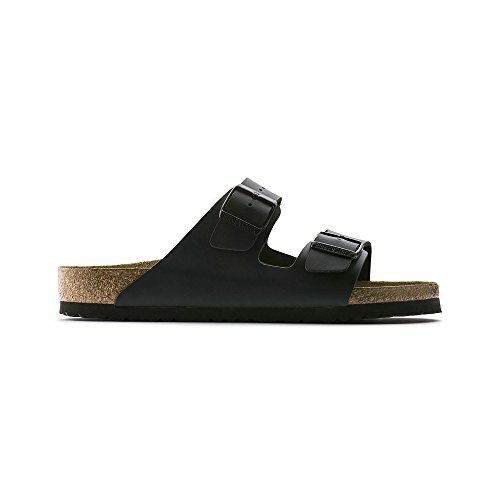 However, for those with narrow feet, these sandals may be too wide for you. Overall, these cute sandals for wide feet are perfect for pregnant moms. Check them out on Amazon! These winter boots are perfect for pregnant women for many reasons. First, they have a low heel and non-slip soles. This prevents you from falling on the ice. Second, they are snug, but there is still some room if your feet are swollen. Third, they are waterproof and lined with fleece, which keeps you warm on cold, winter days. Lastly, these winter boots are easy to get on. Although you'll need to bend over to zip them, the zipper is easier to use than laces. 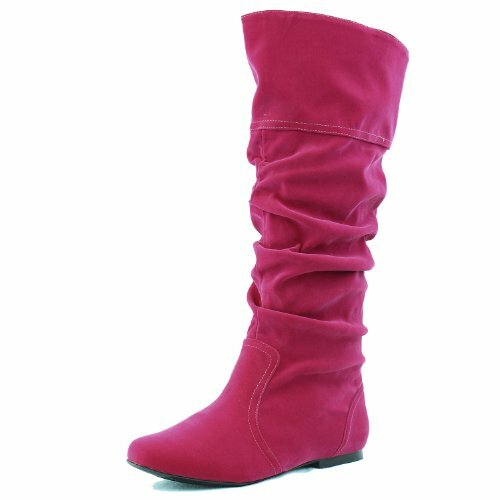 These boots come in a variety of colors, including red, blue, black, and brown. You can view these boots on Amazon! There are many reasons to love this boot. First, it is vegan-friendly. This means it does not contain any animal products. Another reason why this boot is perfect for pregnant mothers is that it has low heels. These boots have rubber soles as well. The slouch design gives you more room for your swollen feet. Keep in mind that these boots are not designed for winter weather. According to customers on Amazon, these boots are not waterproof. However, these pregnancy boots are fashionable and perfect for you to wear during your pregnancy. Learn more about them below! Are you in need of some comfortable dress shoes? Look no further than these ballet flats. They have memory foam in the footbed to keep your feet from aching. Its low heel design provides some shock absorption and keeps your foot in its proper posture, helping to ease joint pain. There are many different colors available for these comfy dress shoes. Check out these pregnancy shoes on Amazon! These pregnancy sandals are perfect for the warm, summer months when you want your feet to get some air. Although Birkenstocks are flat, they still are supportive. When you walk, the sandal molds to your foot, making it extremely comfortable. Find out more about these sandals on Amazon! Of all the pregnancy shoes available, these boots may be the most comfortable, fashionable, and warmest. They have a low heel, making them the perfect option for pregnant moms. 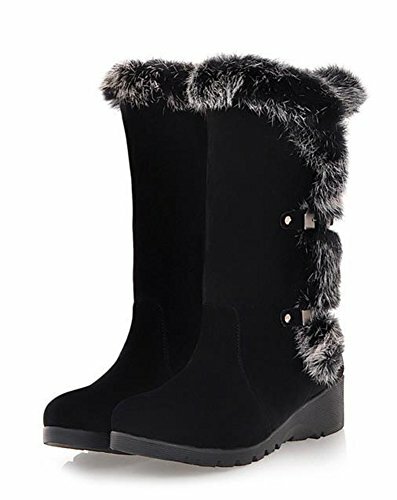 BEARPAW uses the highest quality natural furs and genuine sheepskin when crafting these boots. Because they are made from sheepskin and other furs, these boots are not vegan-friendly. There is an inner lining inside these boots, making them a little tighter. BEARPAW recommends that you order these boots in one size larger than you take. This is especially important if you have swollen feet. For those who are in-between sizes, try ordering one-half size up. All in all, these winter boots are comfy to wear. Find them on Amazon! 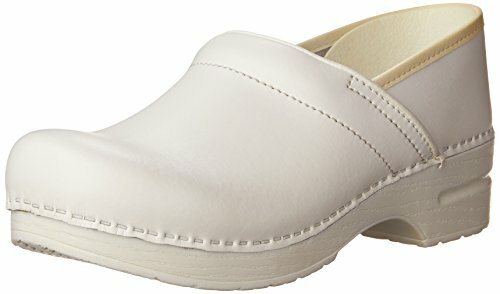 Dansko Women's Professional Clogs are the best working shoes. The protective TPU heel counter allows the heel to move up and down freely while providing lateral stability. Because there are no laces to tie or zippers to zip, these pregnancy shoes are very easy to get on. You don't need to bother bending over as you lace your shoes. Simply slide them on and head off to work. There is padding inside these pregnancy shoes, making them comfortable to wear. They have a low heel, which improves your stability. The soles are rubber and there is shock absorption in these shoes. Dansko's professional clogs promise to keep you comfortable throughout busy days on your feet. Check these comfortable pregnancy shoes on Amazon! Looking for the best flats for walking in? Check out these pregnancy shoes. Their heels are very low, making them almost completely flat. They have rubber soles, making them great for walking in. There were multiple customer reviews on Amazon that were about how comfortable these shoes are. Keep in mind that there were a few complaints about these shoes being on the small side. Therefore, it would be wise to order them in a larger size. Overall, these pregnancy shoes are a good buy. Check them out on Amazon! There are many changes that your body has to go through during pregnancy. Your feet especially have to go through a lot. As your baby bump grows, your feet have to support your weight and try to keep you steady. As a result, you may have feet pain, which can lead to pain in your back, hips, and knees. In addition to this, many women deal with swollen feet during pregnancy. Because of all this, good shoes are very important while you are pregnant. Unfortunately, you'll have to stop wearing shoes with heels until after pregnancy. However, there are still many stylish shoes out there that can be worn during pregnancy. Today, I went over the best pregnancy shoes available. 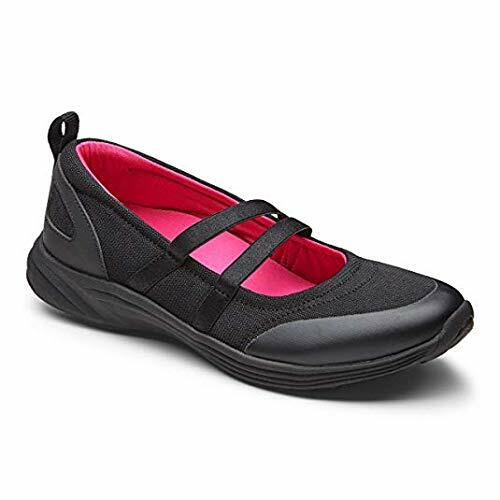 These pregnancy shoes have low heels, rubber soles, and are very comfortable to wear. Some of the pregnancy shoes I went over are made to be worn during the summer, while others are meant more for winter. What's nice about these pregnancy shoes is that you can continue wearing them after pregnancy. I hope this article has helped you find a pair of pregnancy shoes that will fit your needs. Happy shopping!